Google's Android chief talks about his new role just before Google I/O! It wasn't long ago that Andy Rubin, the guy basically behind Android, took a relatively unexpected step back from Android as he went to go onto new projects. The man who has been charged with filling Andy's shoes is Sundar Pichai who's now the head of both Android and Chrome, so he has control over Android, the Chrome browser and Chrome OS. Wired have also managed to snag a little interview with the man on the ever of Google I/O too and he had a few interesting things to say! One of those was how both the Android and Chrome operating systems were going to be able to happily coexist. His answer was relatively dull and what we expected, he said: "Android and Chrome are both large, open platforms, growing very fast. I think that they will play a strong role, not merely exist. I see this as part of friendly innovation and choice for both users and developers." Pichai said that for the foreseeable future nothing will change, he pointed to the way Apple have OSX and iOS co-existing and he sees the same partnership between Android and Chrome. Both will be invested in and continued until computing itself 'dictate[s] the changes'. 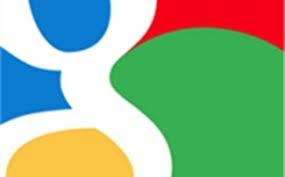 In the meantime Google are planning to 'do the right things... for users and developers ' and this involves finding common elements in both platforms and merging things together, but Pichai did acknowledge that in the future there might be a 'more synergistic answer'. don't currently have access to the internet, something which Eric Schmidt brings up a fair bit. If you want to read a lot into this one then this could be a nod towards Intel Androidbooks, but that is a big assumption on our part and we might not be right on that one! Facebook Home also isn't an issue to Pichai, instead he wants users to have choice and get what they want out of the Android platform and if Facebook Home is what they want then he's cool with that! It's the same with Amazon's forked Android he doesn't think that's too much of an issue either! Naturally Wired took the discussion in the direction of the Samsung relationship and he doesn't think it's an issue that Samsung are dominant, he reiterated that the pair have a great relationship and that they work together on 'all our [Google's] important products.' Motorola won't affect this relationship according to Pichai because for the purposes of the Android ecosystem they're another partner just like every one else! Ohh and don't worry Nexus devices and Chromebooks like the Pixel are here to stay! Another interesting tidbit was about Android updates, which unless you have a Nexus device, tend to be the bane of techies lives! Pichai did say that he and his team are thinking up ways to make the updates better and apparently they have a few ideas of ways to do this and at the moment they're 'talking with... partners and working... through it.' The mechanics of it are obviously the issues here and that's something which is an area of focus. "It’s going to be different. It’s not a time when we have much in the way of launches of new products or a new operating system. Both on Android and Chrome, we’re going to focus this I/O on all of the kinds of things we’re doing for developers, so that they can write better things. We will show how Google services are doing amazing things on top of these two platforms." We're not sure if that rules out new updates to Android completely, but if there is one it'll be a minor update again, until something can be worked out to let manufacturers keep up with the relentless upgrade schedule!